New York City hopes to reach 67 million annual visitors by 2021, and a big part of the plan is attracting big spenders from places like China and Brazil. Of that 67 million goal, New York expects 16 million will come from international markets, and 51 million stateside. Based on city figures, 965,000 tourists came from Brazil, and 809,000 from China last year, which ranked Nos. 2 and 3 in international tourism to the city. An informal survey by China Daily of major US tourist cities finds that the Chinese and Brazilians are substantially increasing their visits. New York expects 1 million visitors from China by the end of 2018, Heywood said. Only a few years ago, Brazil and China were not ranked in the top three international markets for New York, but have overtaken European markets such as France, Germany, and Italy. “One thing about Brazil and Chinese is they don’t mind coming in the winter months, so for Lunar New Year, a lot of our Chinese visitors come during that period,” Heywood said. “The Brazil market, they don’t mind the novelty of being in the snow and being in the cold, so they don’t mind coming in those winter weather months, which is exactly the time of year we want to fill the gap and create more demand during the first quarter,” Heywood said. Las Vegas is seeing a steady increase of travelers from the two countries, which along with Australia, have been major growth markets for the gambling capital, despite not having direct flights to any of the three countries. “Our market share and growth has been very good, and our growth in Las Vegas over the last three years has been slightly higher than the growth to the US from China, so we feel very comfortable about that,” said Rafael Villanueva, senior director of international sales for the Las Vegas Convention and Visitors Authority. “Chinese businessmen like Vegas to close business deals with their American business partners” noted Pierre Gervois, Publisher of the Shanghai Travelers’ Club magazine. 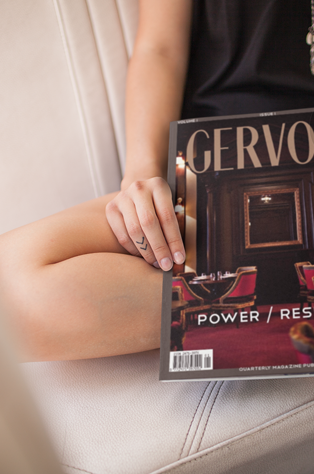 ” we have seen a trend since the beginning of 2015, where Chinese Executives came to New York City for business, and organized a two days trip to Vegas, inviting their U.S. counterparts -sometimes in private jets-, in order to close their business deal and have good time”, Gervois added. Those are the visitors who are going to the US to experience what Villanueva called the “sampler plate”. He said “they came and visited 10 cities in the two to three weeks they were here, and now they’re coming to the US to spend a little more time in San Francisco, Los Angeles and Las Vegas”. Las Vegas welcomed 300,000 visitors from China in 2013, up from 263,000 in 2012, and 187,000 from Brazil in 2013, up from 161,000. The Chinese make up a much smaller portion of Miami’s visitors, but there is growth. The city doesn’t have specific data on the number of Chinese tourists, only air studies completed by the city’s airport air service consultant, and it estimates that the Miami market generated 55,000 Chinese passengers in 2014. 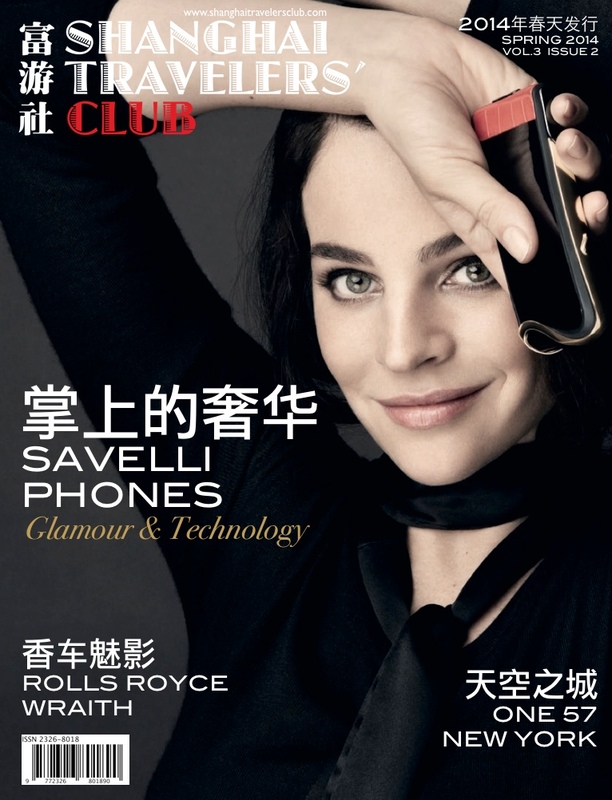 Published by China Elite Focus Magazines LLC (New York City), the Shanghai Travelers’ Club magazine has been launched in 2012 as a quarterly magazine in Chinese Mandarin language, featuring a sophisticated content about luxury hotels, lifestyle, private aviation and profiles of famous entrepreneurs. Considered to be one of the finest luxury travel publications, the Shanghai Travelers’ Club magazine has been a leader in introducing a vision of understated luxury travel for the new generation of high net worth Chinese world travelers. Read and trusted by 50,000 Chinese frequent travelers, this magazine is considered by its readers as a trusted and independent voice, publishing stories of uncompromising quality about the finest international travel experiences. Starting with the April 2015 issue, published on March 20, 2015, the Shanghai Travelers’ Club becomes a monthly publication. Featuring 40% content about the United States, #1 destination for wealthy Chinese travelers, this publication is the most influential travel magazine reaching Chinese frequent travelers. “Going from quarterly to monthly is an amazing achievement for our editorial team” said Pierre Gervois, CEO of China Elite Focus Magazines and Publisher of the Shanghai Travelers’ Club magazine. “We have been working on this project for six months, due to the success of the magazine and the constant demands from our readers to have more content. We had to expand our editorial team at our Shanghai office, under the direction of Elaine Ke, our Senior Travel Editor” added Pierre Gervois. With an office in Shanghai and in New York City, the now monthly Shanghai Travelers’ Club magazine will consolidate its position as a leading travel & lifestyle media, targeting the world’s most affluent consumers. Pierre Gervois, the leading expert on marketing to Chinese inbound tourists in the U.S. will be in New York on Oct 18, 2012 for meetings with travel and tourism industry professionals. A surge of Chinese tourists is expected to visit New York City this year, prompting hoteliers and tour operators to better cater to the group by offering amenities from tea kettles in rooms to translated welcome packets. NYC & Company, the city’s marketing and tourism organization, expects a 20% increase in visitors from China this year compared with a weak 2009 when the recession cut business travel-the major impetus for Chinese travel to New York. If the estimate holds up, 223,000 tourists from China will come to New York this year, topping the 2008 record by a small margin. 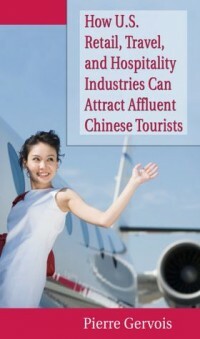 Nationwide, the U.S. Commerce Department predicts a 22% increase in travelers from China in 2010. Through February 2010, 141,071 tourists from China and Hong Kong have visited the U.S., ranking China ninth among arrivals, and an 86% increase over last year. Tourism experts say New York is usually on the agenda for Chinese visitors to the U.S. Some city hotels have experience in catering to the Chinese. The Mandarin Oriental has long-offered a traditional breakfast of rice congee, soy-poached chicken, steamed pork bun and a boiled egg. But now it is developing Chinese language cards and letters to welcome guests and explain local attractions. An in-house translator and complimentary tea kettles and tea in-room for Chinese guests is also in the works. The New York Marriott Marquis also serves a traditional Chinese breakfast in its Encore Restaurant and has Mandarin speakers on staff. At the Waldorf Astoria, Stanley Wong, a Cantonese-speaking senior concierge, says more Chinese tourists will be a boost for retail across the region. His affluent clients like shopping at Saks Fifth Avenue, Bergdorf Goodman and often request a trip to the Woodbury Common outlet in Central Valley, N.Y.
“Sometimes they don’t speak any English but they know Woodbury Common,” he said. (A spokeswoman for the Premium Outlets Division of Simon Property Group said that Woodbury Common is the largest destination for Chinese visitors of its 42 shopping centers in the U.S.). ” New York City is by far the #1 shopping destination in the World for Chinese travelers, before Paris and London”, also declared Pierre Gervois, CEO of China Elite Focus, a Shanghai based marketing agency. On a recent afternoon in Times Square, tourists from China took photos in front of Broadway banners. Yumin He, a 56-year-old teacher from Beijing, made his first trip to the U.S. this month for a wedding. He and his wife traveled across the country with a daughter who lives in San Diego and had been in New York for a week. “People were really optimistic, the food is good, the environment is great and the air quality is great,” Mr. He said. The family also visited Philadelphia, Boston and Niagara Falls. “We weren’t able to see everything in depth. We just skimmed the surface with sightseeing because everything with the tour group was really rushed,” he said. Though the majority of travel from China to New York continues to be business-related, the leisure sector is growing, largely because of an agreement signed two years ago that made it possible for groups to travel from China to the U.S. China’s growing middle class also accounts for an increase in leisure travel. Today’s Chinese tourism market is similar to where the Japanese market was 10 years ago, said Richie Karaburun, president of GTA Americas Inbound, a tour wholesaler based in New York with offices in Shanghai and Beijing. “Within seven to 10 years, if we play our cards right, China will be one of the biggest markets inbound to the U.S.,” he said. 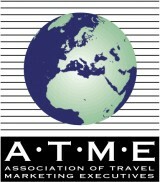 The company has seen a triple-digit increase in bookings from China over last year.